The Junior Jay Varsity Lacrosse team opened the league season with a win over Waukee 17-3. This was our first ever game against Waukee Lacrosse. I would like to thank Westside Lacrosse for being our hosts for the day. All of our previous nine varsity games were leading up to today. “We have been battle tested and ready for action” stated Coach Grosskurth. The coaches asked that the Junior Jays start fast and set the tone for the game. Max King took that to heart. Max scored three goals within 2 minutes and 56 seconds. 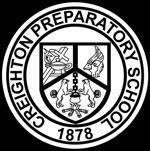 “That has to be the fastest hat trick for Creighton Prep I have ever seen” mentioned Coach Haney. The Jays jumped out to a four goal lead with 7:38 left in the first quarter and we relaxed a bit. At that point Waukee proved that they can score a few goals as well and bagged two goals within 1:45 to make the game 4-2. A quick time out righted the ship and the Jays Mark Mausbach and Ethan Yale pushed the lead back up to finish the first quarter at 7-2. The Second quarter was all Junior Jays. Mark Mausbach, Mac Nelson, Andrew Foley, David Spitzenberger, and Max King all helped to push the lead to 14-2 at halftime. Mark Mausbach’s final goal of the game is a SportsCenter top 10 goal with his heavy ride causing a turn over deep in Waukee’s end. Mark drove on the goal and placed a round-the-world, bounce shot on to the top right corner for one of the best looking goals ever seen in a Creighton Prep uniform. After half time, the starters were pulled and the coaches dipped into the bench. We even grabbed a JV Blue attackman that was warming up for the JV Game to make sure that all three starting attack were off the field. Thanks for jumping into the game to help out Anthony. Trey Dethlefs and Mac Nelson each added a goal and Waukee still had some fight left to end the 3rd quarter at 16-3. For the fourth quarter, Ethan Yale notched the only goal of the quarter to push the score to 17-3. The Junior Jay scorers were led by Max King (5 goals and 3 assists), Mark Mausbach (4 goals and 4 assists), Mac Nelson (3 goals) Ethan Yale (2 goals), Andrew Foley (1 goal and 1 assist), David Spitzenberger (1 goal), Trey Dethlefs (1 goal), John Kubat and Ben Jones each added an assist. Jack Abt had 5 saves through three quarters and Javier Macias had 2 saves in the 4th quarter for the win. The Junior Jay defense was led by Max Sikora with five ground balls, Chase Wagner with four ground balls, and Andrew Foley with three ground balls. Seven players recorded two ground balls; those players are Mark Mausbach, David Spitzenberger, John Kubat, Ben Newell, Nolan Gosch, Mike Spitzenberger, Alex Kontz, Max King. Four players grabbed a single ground ball, they are Jack Abt, Trey Dethlefs, Corey Callahan, and Ethan Yale. Prep Varsity picked up 31 ground balls for the game. Next up for the Junior Jay varsity is a 6:00pm game under the lights at Westside on Friday April 12th. Following the varsity game is JV Blue vs Westside JV at 8:00pm. Also on Friday. 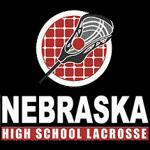 JV White plays Lincoln JV at 6:00 at Creighton Prep’s Leahy Stadium.